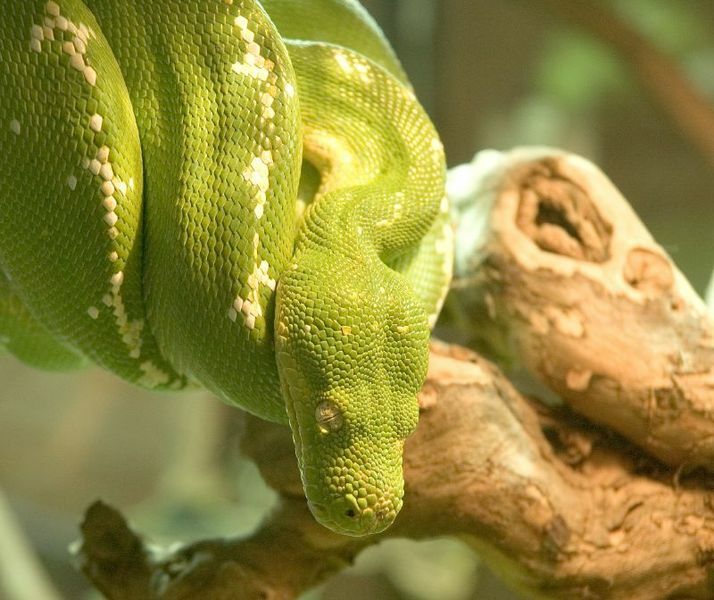 Morelia viridis, the scientific name, Green Tree Python is found in New Guinea, islands in Indonesia, and Cape York Peninsula in Australia. Average length of an adult is 90-120 cm (3-4 feet), maximum grow to about 213 cm (7 ft). The scales have thermo-receptive pits. 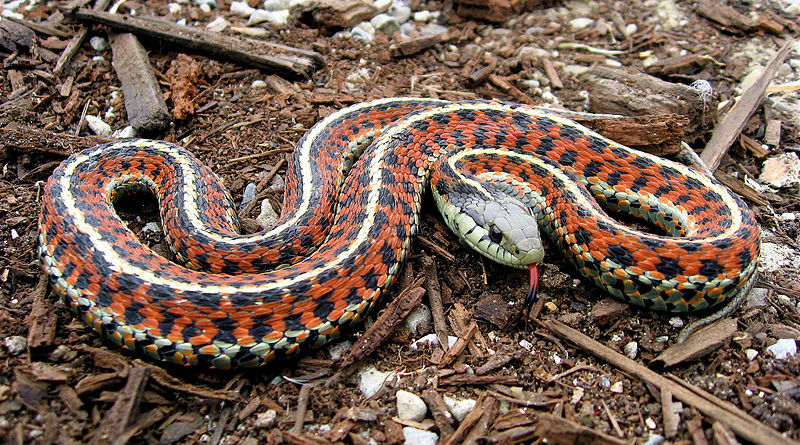 A venomous snake, Micrurus fulvius is found only in the southeastern US. Not to be confused with its harmless mimics, the scarlet snake and the Scarlet Kingsnake. Coast Garter Snake, scientific name Thamnophis elegans terrestris has toxins in their saliva and the bite can produce mild reaction in humans. Although They are not dangerous to humans, they excrete a foul smelling musk. 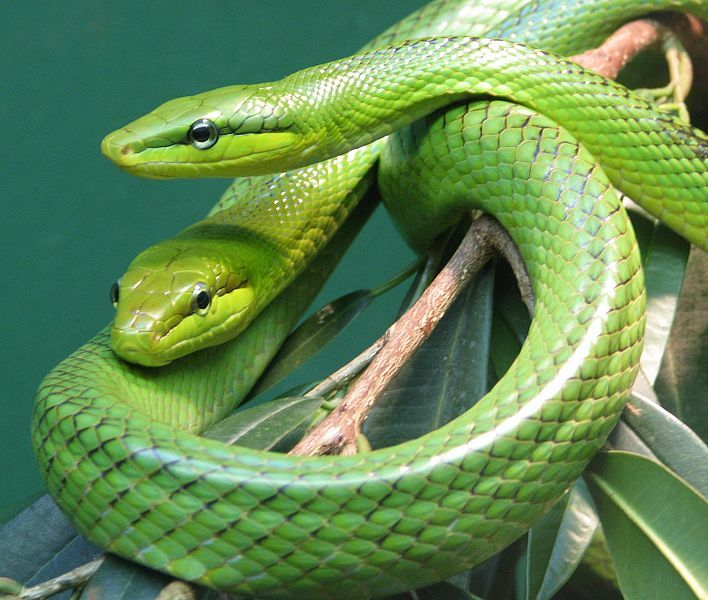 Gonyosoma oxycephalum, the Red-tailed Green Ratsnake is a species found in Southeast Asia. This snake has the color of nature, that is green and has a red tail. It's a thin one but has powerful and rough scales at the bottom so that it can move and climb trees. It feeds mostly on small mammals. It grows up to 2.3 meters and lives in an average of 15 years. 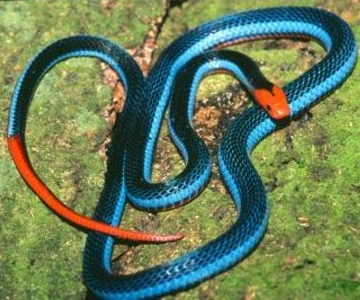 The beautiful and attractive Blue Coral Snake can be found in Indonesia, Malaysia and Singapore. 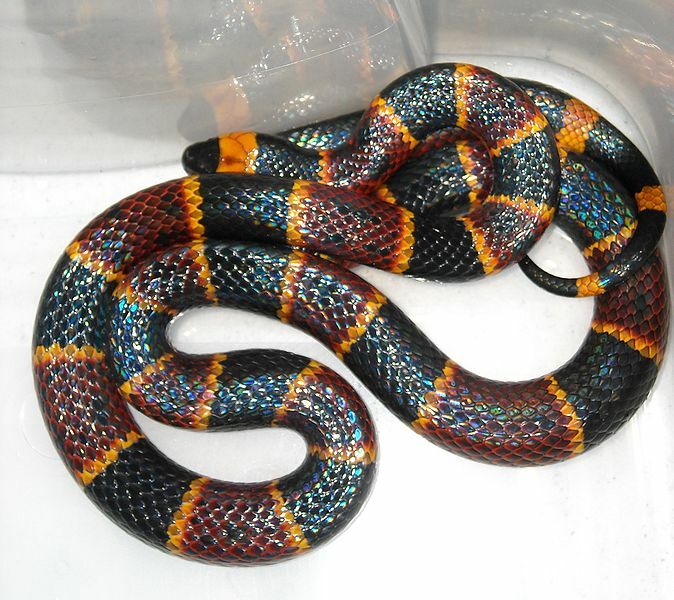 It has a red head and a red tail that makes him uniquely pretty.